When Canberra-based tech start-up Instaclustr announced it had snagged impressive New York venture capital backing to lead a Series B funding round of $20.6 million last month, the leadership team at ASX-listed technology investment firm Bailador allowed themselves a quiet self-congratulatory celebration. 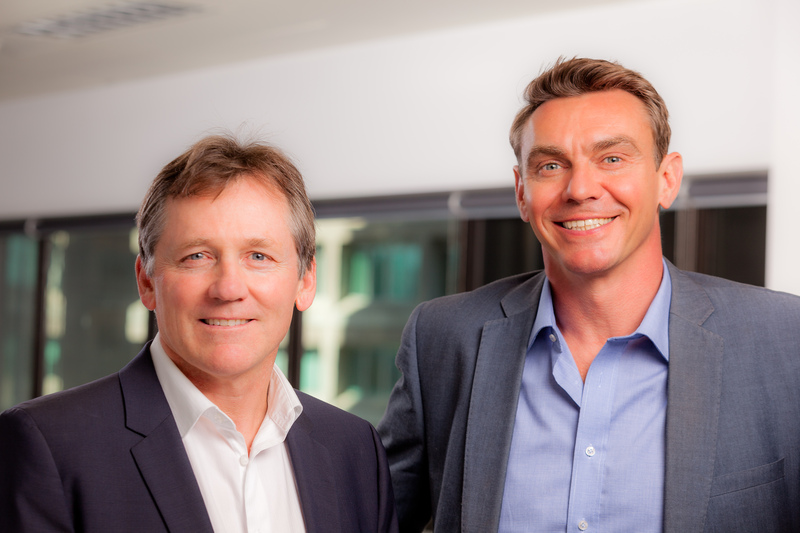 While the fund, co-founded by former Fairfax CEO and All Black World Cup-winning captain David Kirk, wasn't among the list of investors making up the latest round, it had led its previous round, and played an influential but unheralded role in helping Instaclustr's founders connect with their new backers at Level Equity. Bailador had been able to help its portfolio company in its international expansion through its recently promoted partner Andrea Kowalski, who moved from Sydney to operate full-time from New York last year. Among Australia's swelling venture capital ranks Kowalski represents somewhat of a pioneer, with only Square Peg Capital and Our Innovation Fund taking the step of having a partner based full-time in the world's biggest tech market. "While I'm confident Instaclustr would have raised the money it needed without me being over here, because of its exceptional performance, I was able to help support management and make it much easier through my network over here," Kowalski says. "I have conversations every couple of weeks with US VCs that are tapping on my shoulder to see if there are any businesses back in Australia that might be of interest to them. Australian technology is very highly regarded in the US and VCs are at a stage where they need to be searching under a few other stones to find the best new exciting opportunity." Kowalski says a large part of her role as a New York partner involves assisting Bailador's portfolio companies with relationship building, expansion advice and laying the groundwork for future deals. Around 65 per cent of the total revenue of Bailador's portfolio companies now comes from outside Australia, and it includes Stackla, SiteMinder, Straker Translations, SMI, DocsCorp and Rezdy in addition to Instaclustr, which all have offices in the US. Mr Kirk says both he and Kowalski had been initially unsure about how effective it would be for an Australian VC fund to have a partner permanently based in the US, but he has since been delighted by how well it had worked. In addition to assisting existing investments, she is "eyes on the ground" for any US investment opportunities and he says her ability to build networks with US-based growth capital funds, while staying close to emerging industry trends has become invaluable to Bailador. "Our differentiating feature as a fund in the Australian VC space has always been that we invest at a later stage into companies with global growth opportunities and work with founders to realise the company's global ambitions," Mr Kirk said. "We are now moving to the stage of maturity in the fund where we expect to be regularly exiting investments. We believe having Andrea on the East Coast of the US will be very helpful as we look at trade sales to US or European buyers." Some of Australia's highest profile VC funds have recently mentioned an approaching "tipping point," whereby the start-ups they have been backing over the last few years will begin reaching the level of maturity where exits become an option. While exits often bring thoughts of IPOs to mind, Kowalski says a major opportunity for Australian start-ups exists for acquisition by US and European software giants. Oracle's $1.6 billion swoop for Australian construction software group Aconex last year shocked many industry watchers, but having been based in New York, Kowalski says she has been able to observe industry trends that suggest a period of rampant acquisition from cashed-up vendors could be approaching. "The dynamics globally are really favourable for Australian companies that are looking to exit," she says. "In the last five to 10 years, you've had this emergence of very specific applications, or companies that are addressing key components of any customer experience or business application process. "However this 'best of breed' approach has actually left the customer with too many vendors to deal with and we have got to a point where there needs to be a reconsolidation." This would mean that start-ups which had emerged as successful niche software as service providers stand a great chance of being bought out by industry giants looking to buy back relevance and offer broader range to customers. While Kowalski works on building relationships to help grease the wheels for future sales, she says the possibility of ASX IPOs is looking increasingly strong. The local exchange's bid to become a junior tech hub for stocks that are too small for the NASDAQ is well-known in Australia, and Kowalski says its reputation is starting to grow among US entrepreneurs and investors. She says she has had numerous conversations with US tech CEOs in recent months, where the topic of an ASX listing have been prominent. This has led her to believe that companies in the $US150 million to $350 million valuation range will increasingly look to the Australian market, rather than further private funding rounds. "These are really strong, good and fast-growing businesses that the ASX and its investor base would genuinely welcome and encourage," Kowalski says. "I think we're going to see some very successful US companies looking to the ASX as a viable alternative to private funding, where the NASDAQ doesn't offer them an option. "Then that will have a positive reinforcement sending a message to other companies, including Australian firms that the ASX is genuinely an exit route that they should be pursuing further."